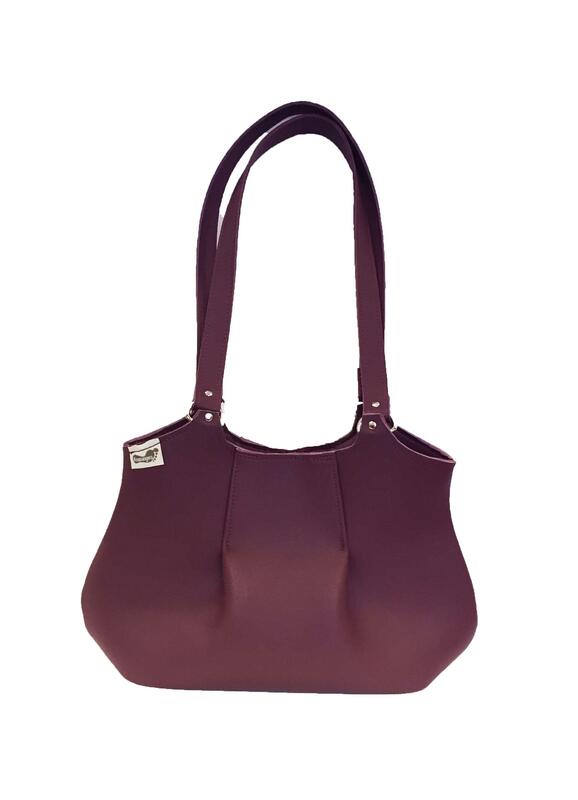 Lovely women's handbag to go out and when you don't need to carry much with you. Will take your mobile, purse, keys etc. It measures only 20 x 33 cm, it is super light, it has lining inside and also a small pocket with a zip. Closes with magnetic catch and fits perfectly under your arm. Sits gracefully on the floor holding its pretty shape. 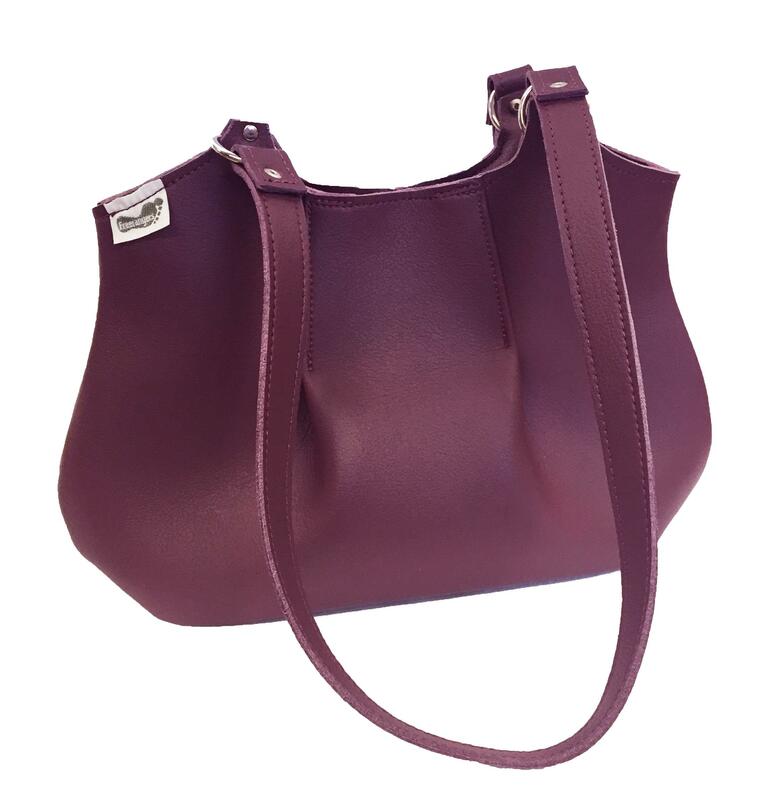 Shown in Claret, also available in: Denim suable, Charcoal suable, Dark Rose suable and Baked Earth. This bag was fully inspired by one of long standing customers, Cheryl Wheeler - so thank you very much Cheryl.